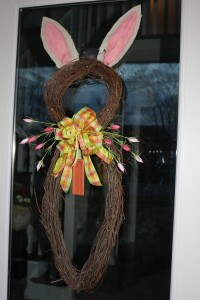 I just got a new front door and am wanting something to decorate for Easter. (The door still needs paint, a new door knob and a new doorbell. . . some of my many projects!) 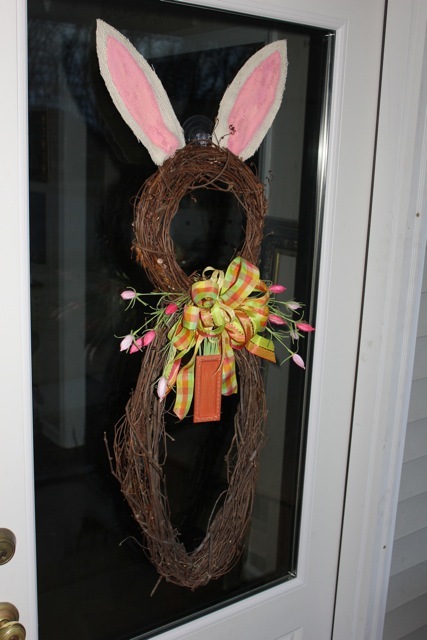 I have seen a couple of bunny wreath ideas floating around on Pinterest. Here is my take of the concept. . .
First, I bought 2 wreaths (actually, I had already bought the oval wreath for another project that I never got around to!) All I needed was the round wreath. I just took the oval wreath with me to the store and found a round wreath that looked like the right size. Next, I made the bunny ears. 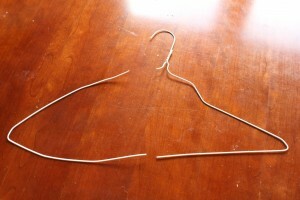 I cut off the ends of wire coat hangers and shaped them like ears. 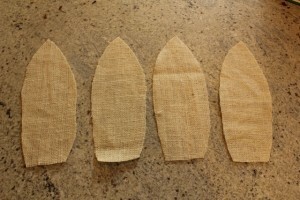 I cut out 4 pieces of cream burlap that were about 1/4 inch larger than the forms. And here is our Easter bunny! 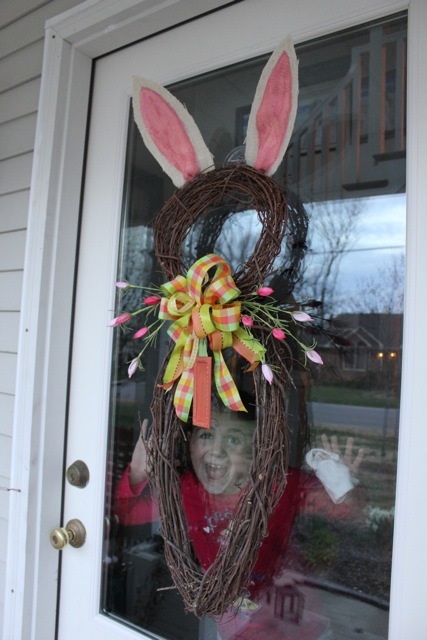 And one of my own little bunnies who could not resist sneaking into the picture! 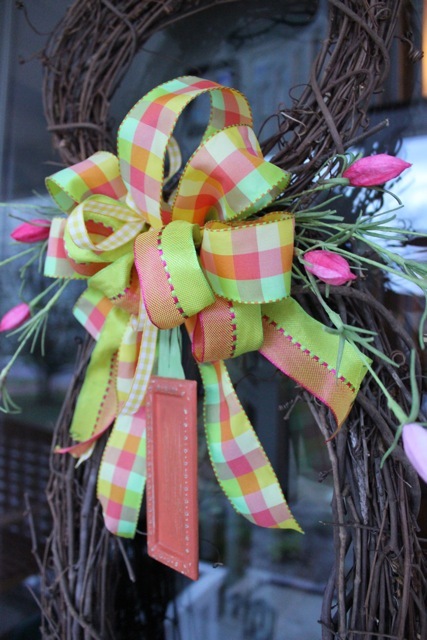 Happy Easter decorating!